We do not recommend using gopher repellent. We do not use it at LandCare, and you should not use it on your own. Gopher repellents do not solve underlying vermin infestation problems, the only move them. Gophers may tunnel away from one problem area, but will usually resurface in another. This can spread the problem and make it worse. Gophers may tunnel to other areas of your yard or to neighboring yards (and that’s not way to be a popular neighbor). Chemical repellents are aggressively advertised on the internet, but they can be ineffective as well. Chemical-based repellents lose effectiveness when wet. After strong rainfalls, chemicals can wash away, leaving your land susceptible to gophers again. These repellents are also made with harsh chemicals, which can sometimes be dangerous to people, pets and crops. Many homeowners try sonic repellents before they call us. These devices beep every few seconds to repel animals, and there are even solar versions now. We often find these to be ineffective. We have caught hundreds of moles literally right next to these “repellents.” Save your money when it comes to sonic devices. Gopher repellents don’t solve underlying gopher problems, which is why we do not recommend them. If you find yourself asking ‘Can I use gopher repellent at home?’ it’s time to call in the experts. Finally, another important note: if you hear your neighbor talking about how they just found a great new repellent, be nervous. This means your lawn just became a target for mole and gopher damage. 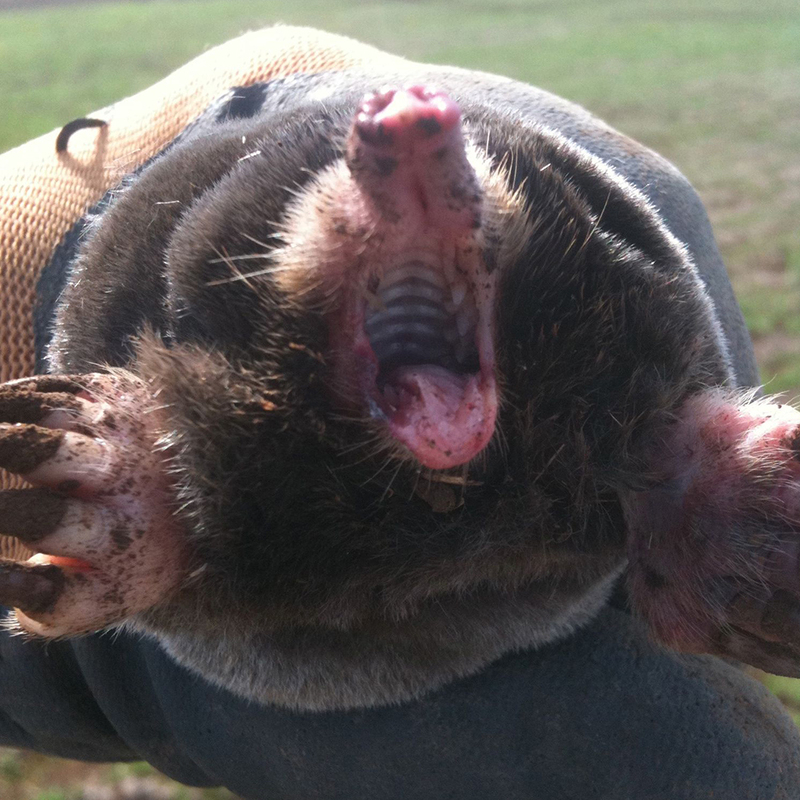 Moles and gophers will tunnel away from repellent areas, so they may very well be headed for your lawn! Give us a call to check your property. See the full response to this and other questions in our FAQ page. Can I use gopher repellent at home? Learn more! Is using a Gopher Blaster worth the cost/effort?